Find below latest Scholarship opportunities around the world. Kindly click on any of them to apply. Two favourite Nigerian entertainers have had their hearts broken after losing an international award. Nigerian entertainers - Emmanuella and Davido - failed to win the favourite African star category of the 2018 Nickelodeon Kids’ Choice Awards. They were defeated by Eddy Kenzo, an Ugandan musician who eventually won the award. 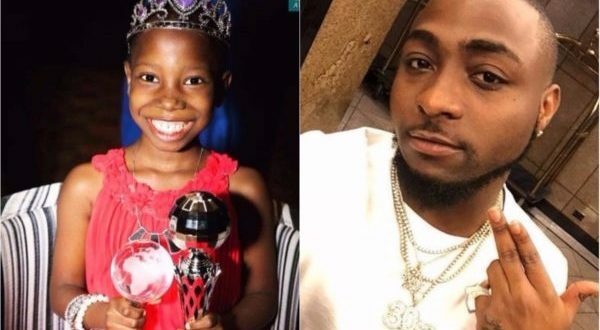 Nigerians had expected either Emmanuella or Davido to win the award owing to their popularity, but many were shocked as Kenzo took the award home. The Ugandan star took to his Facebook page to share the news of his triumph. 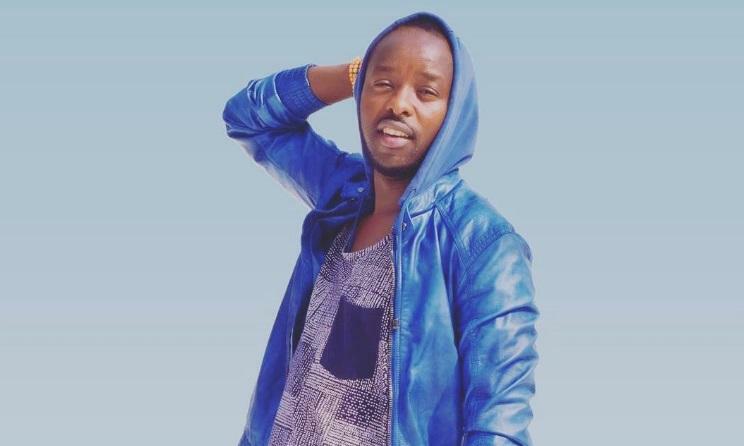 Real name, Edrisa Musuuza, Kenzo is best known for his 2014 song ‘Sitya Loss’. In 2017, he released ‘Sembera Eno’ and ‘Jubilation’, two songs which were big hits in Uganda. 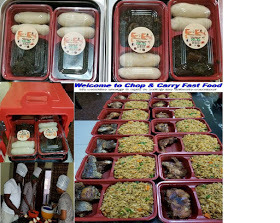 The award ceremony took place in Inglewood, California, US, on Sunday. The winner was determined by voter preferences and other considerations. 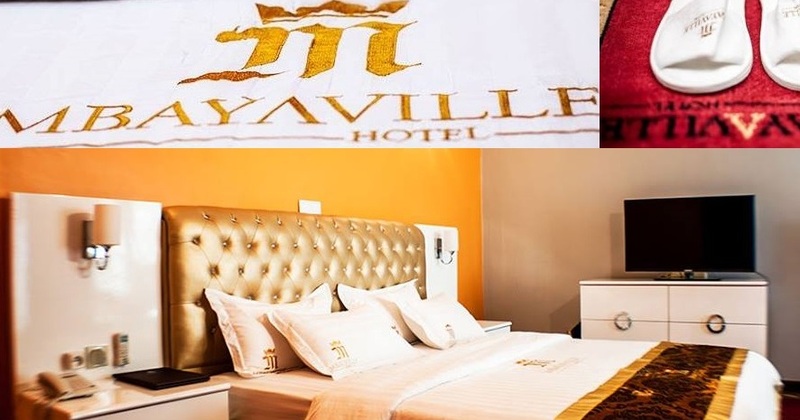 Other African stars nominated for the award are Casper Nyovest (South Africa), Caster Somonya (South Africa), Diamond Platnumz (Tanzania), and Eddy Konzo (Uganda). militants of the five sections of the ruling Cameroon People’s Democratic Movement-CPDM in the Division for their political maturity. Shey Jones Yembe made the statement while presiding the First ever Joint Anniversary of the CPDM at the Nkambe Community hall on March 24, 2018 where militants gathered to celebrate the 33 years of continued existence of the party since its creation in Bamenda. 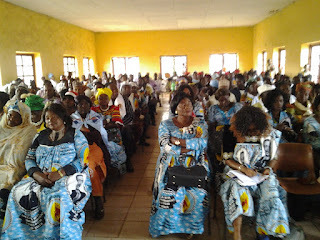 The joint anniversary celebration which took place under the chairmanship of the Permanent Coordinator of the CPDM for Donga Mantung brought together militants and sympathizers of Donga Mantung I (Nkambe), Donga Mantung II (Ndu), Donga Mantung III (Nwa), Donga Mantung IV (Misaje) and Donga Mantung V (Ako). 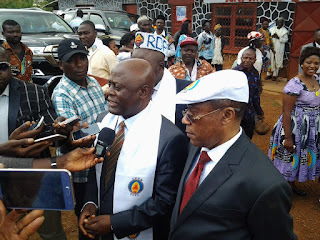 In appreciating his comrades of the CPDM for their political maturity, Shey Jones Yembe said “I must say Donga Mantung Division has shown a lot of maturity. And we have just come here to encourage the people to continue to be supportive and support the CPDM party”. According to Shey Jones Yembe the Division will have returns in terms of development given that the nation is aware of their support to the ruling party. Harping on why Donga Mantung people should support the CPDM, Shey Jones Yembe heighted some of the major achievements of the party in the Division. More importantly, Shey Jones revealed that the stretch of the Bamenda Ring road from Kumbo to Misaje will be tarred. He used the occasion to congratulate CPDM militants of the five sections for the confidence and the moral support they have bestowed in the ruling party. “The President of the Republic is a human being. He needs all these people to support him so that he can continue to deliver for our nation. And Donga Mantung has been one of those Divisions that has been standing to the taste of supporting the unity of our country. So we came mostly to thank our people and to remind them that the country knows about it and we will have returns in terms of development”, he told journalists in an interview. On his part, Dr. Fuh Calistus Gentry, Secretary of State in the Ministry of Mines, Industries and Technological Development said the marriage between the CPDM and Donga Mantung is a genuine one. He emphasized that President Biya has done a lot to maintain national unity since crisis started in the North West and South West regions. He also reminded CPDM militants that government has taken the development of Donga Mantun Division as priority reasons why government has continued with its great efforts to look for finances to tarr the ring road. “Projects are on and government has made tremendous efforts to seek finances to continue the development of the Ring Road”. 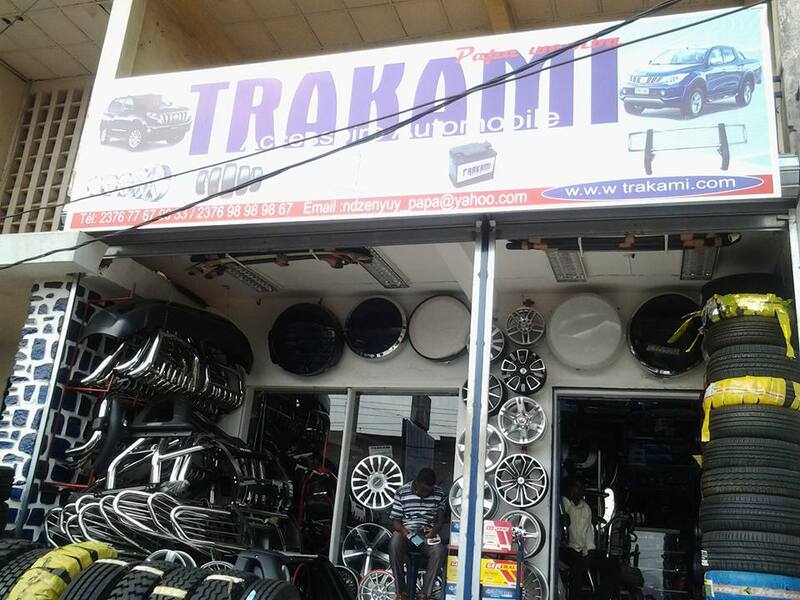 He revealed that about 50 billion francs is tipped for the road and that technicians are on the feild mapping. Worthy to note that the delegate of Public works had summoned a meeting with all those whose structures are near the road to road so they are eventually compensated in case of damages. Militants were reminded that this year is an election year and they should work hard to make sure that the CPDM emerges victorious in the entire Division. Some of the speakers at the Joint Anniversary celebration in Nkambe included Ngabir Paul Bantar (Mayor of Nkambe) and Gerard Ngala (Section President). The celebrations ended with the reading of a Motion of Support which was addressed to the chairman of the CPDM, President Paul Biya. The permanent Coordinator of the CPDM for Donga Mantung Division has applauded militants of the five sections of the ruling Cameroon People’s Democratic Movement-CPDM in the Division for their political maturity. Shey Jones Yembe made the statement while presiding the First ever Joint Anniversary of the CPDM at the Nkambe Community hall on March 24, 2018 where militants gathered to celebrate the 33 years of continued existence of the party since its creation in Bamenda. 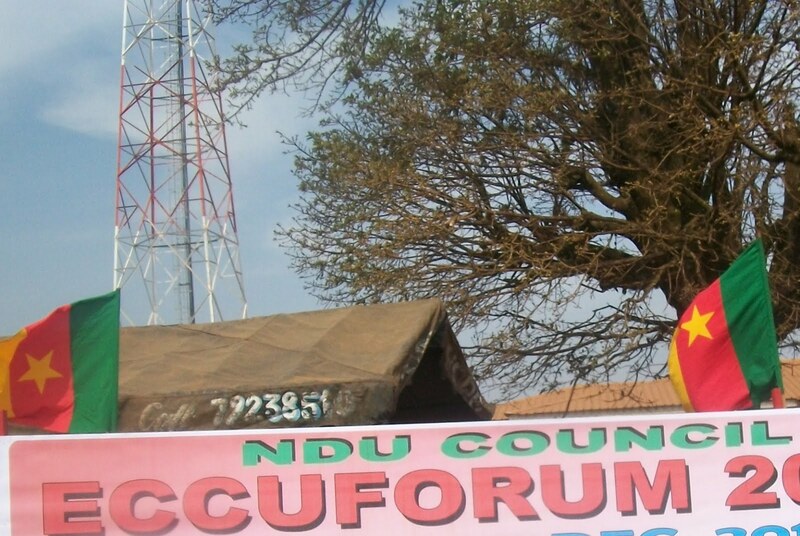 The joint anniversary celebration which took place under the chairmanship of the Permanent Coordinator of the CPDM for Donga Mantung brought together militants and sympathizers of Donga Mantung I (Nkambe), Donga Mantung II (Ndu), Donga Mantung III (Nwa), Donga Mantung IV (Misaje) and Donga Mantung V (Ako). On his part, Dr. Fuh Calistus Gentry, Secretary of State in the Ministry of Mines, Industries and Technological Development said the marriage between the CPDM and Donga Mantung is a genuine one. He emphasized that President Biya has done a lot to maintain national unity since crisis started in the North West and South West regions. He also reminded CPDM militants that government has taken the development of Donga Mantun Division as priority reasons why government has continued with its great efforts to look for finances to tarr the ring road. “Projects are on and government has made tremendous efforts to seek finances to continue the development of the Ring Road”. Former Minister of Water and Energy, Atangana Kouna will pass his first night at the Kondengui Prison. Sources say his interrogation started at 11:30 am at the Special Criminal Court over alleged financial mishap, the former Minister who was napped in Nigeria and brought back to Cameroon has been sent to Kondengui Prison in Yaounde. Sources also hinted that before was interrogated on the alleged financial malpractice, the investigators also quizzed him on how he managed to vamoosed out of the country when his movement were restricted.It is alleged that it is with the help of interpool that he was arrested in Nigeria. It should be recalled that Basile Atangana Kouna was removed from his ministerial position during President Paul Biya’s March 2 cabinet reshuffle. He had already been ordered not to leave the country yet he sneaked out to Nigeria. Three high profile personalities including a former minister have been detained in Yaoundé for alleged financial malpractices. They were hawked by the famous anti-corruption operation "Sparrow Hawk”. Reports say Louis Max Ohandja, former Secretary of State to the Minister of Public Works, in charge of roads, Jean William Sollo, former boss of a public company and Bruno Bekolo Ebe, former rector of the University of Douala, were placed Wednesday night in custody in Kondengui, the central prison of Yaounde . They are accused of transforming state funds into private pockets, but according what we gathered the amounts will be known only after the judicial proceeding will be opened. It is said that the Special Criminal Court (TCS), a judicial body that indicted the three personalities is working round the clock interrogating other accomplices. William Sollo, according to the same source, is subject to a procedure for alleged misappropriation of funds within the Cameroon water utilities corporation (Camwater). From 2012 to 2016, Mr. Sollo managed this public company, which recently took over water distribution service from a private company.